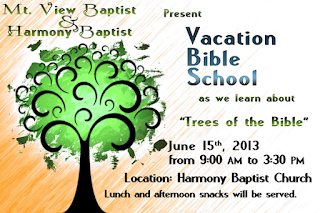 Join us as we learn about the Trees of the Bible in VBS! Mt. 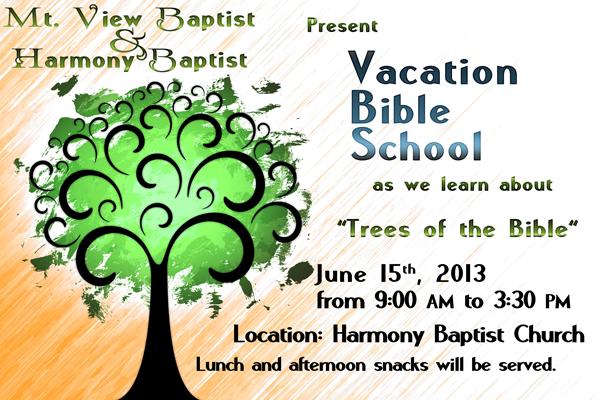 View and Harmony Baptist Church present to the community Vacation Bible School 2013 when we will learn about the trees of the Bible.